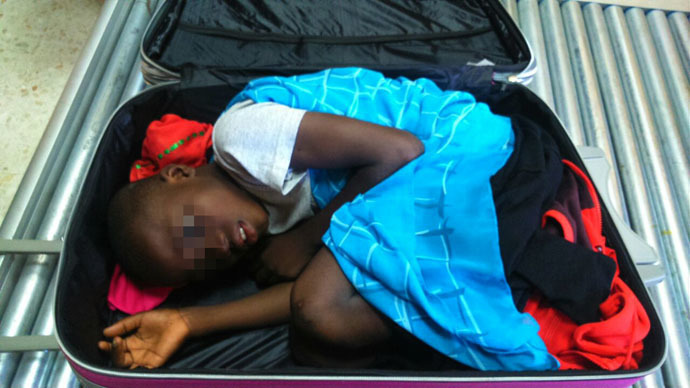 An eight-year-old boy from the Ivory Coast was discovered by customs officials inside of a suitcase in a desperate attempt by his father to smuggle the youth into Spain via Morocco, Spanish police say. Officials say a 19-year-old woman on Thursday attempted to smuggle the boy, who police have only identified as Abou, inside of a suitcase to Ceuta, a Spanish enclave that borders Morocco. 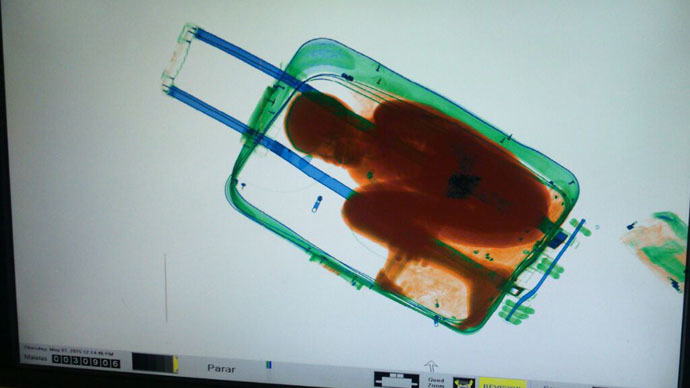 "When they put the suitcase through the scanner, the operator noticed something strange, which seemed to be a person inside the case," a spokesman for the Guardia Civil told AFP. "When it was opened they found a minor in a terrible state." The woman, who the Spanish newspaper El Pais said was paid by the father to smuggle his son, was arrested. The boy is now in the care of officials in Ceuta. Ceuta and another Spanish enclave, Melilla, on Morocco's Mediterranean coast, are notorious spots for migrants to try to breach the seven-meter (23-foot) fences and cross into Europe in search of a better life. 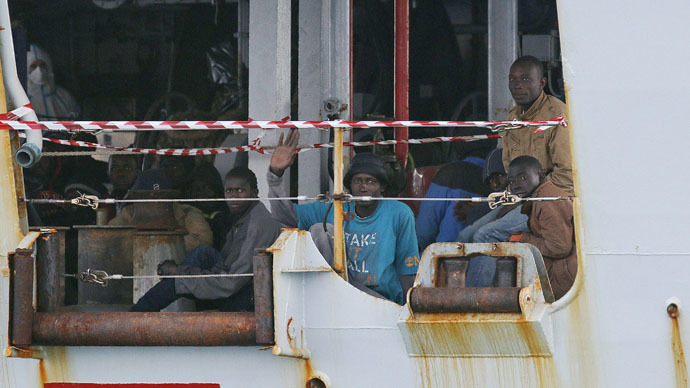 Human Rights Watch said at least 4,300 people entered the Spanish enclaves in 2013, compared to 2,804 the year before. Earlier this week a 23-year-old Moroccan man was discovered inside a shipping container in the port of Melilla. Authorities say he was dehydrated after spending four days in the container without food or water. The container was not checked over the May holiday weekend, AFP reported.